However, it is primarily the inner values of a gaming laptop that count. The P35W v2 boasts with an Nvidia GeForce GTX 870M that features a generous 6 GB of video memory. The 2.5 GHz clocked Intel Core i7-4710HQ provides the matching processor for the swift graphics solution. A model with a Core i7-4700HQ is optionally available. There are various options for configuring the internal storage during the buying process owing to numerous hard drive and SSD combinations. Our model has a total of 3 drives. Two SSDs with a capacity of 128 GB each, and which are fused to a 256 GB unit, do their job in a RAID 0 array. It additionally sports a 1 TB hard drive. Apart from configuring the storage, the buyer can also choose the operating system and working memory. 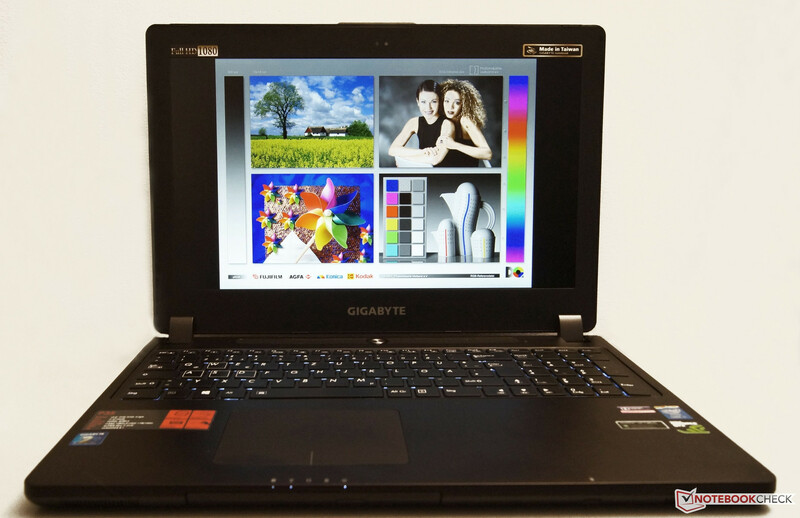 Users who own a Windows 8.1 OS can also opt for a FreeDOS version of Gigabyte's P35W v2. The working memory is available with either 8 or 16 GB. Our review sample features Windows 8.1 and 16 GB. The manufacturer relies on a screen based on IPS LCD technology. Our model features the superior "Wide Viewing Angle LCD." Gigabyte also offers a version with a normal LCD screen. We will compare the P35W v2 with two contending models in this test. The first rival is MSI's GE60-2PEi781B that comes with a very marginally slower Core i7-4700HQ, 8 GB of RAM, and also features a 15.6-inch Full HD screen. The installed graphics chip is Nvidia's GeForce GTX 860M. Asus' G750JS-T406H will also have to compete against Gigabyte's P35W v2 as a performance reference. Although this laptop also sports a GeForce GTX 870M, it only has 3 GB of VRAM. 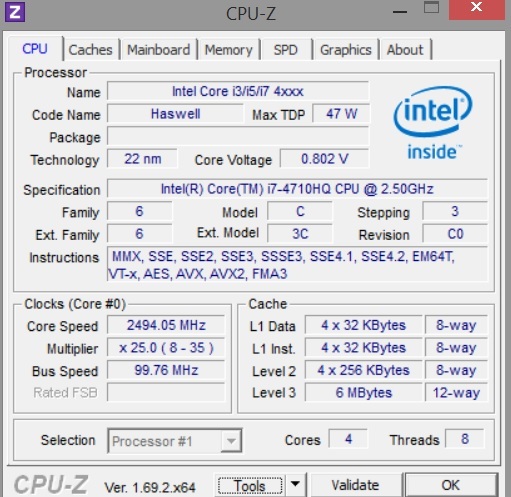 Like MSI's contender, the installed processor is Intel's Core i7-4700HQ. The lid features a striking brown color and is adorned with Gigabyte's silver logo. 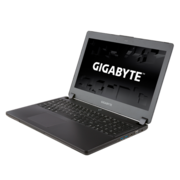 Gigabyte justifies the entry-price of beyond 1300 Euros (~$1757, FreeDOS version with Core i7-4710HQ, 8 GB RAM, 1 TB HDD) with the use of aluminum, among other things. The resistant metal prevails on most parts of the casing. The lid is made of aluminum, and it is also used for the entire area around the keyboard and touchpad. That is continued in the casing's tray that is comprised of both plastic and aluminum in parts. The laptop's color shimmers in a brown to charcoal-black hue depending on the light incidence. Compared with the 4 kg Asus G750JS, Gigabyte's P35W v2 is agreeably lightweight with slightly more than half the weight (2.4 kg). The latter, however, also has a 17-inch screen and it can be equipped with a GTX 880M. MSI's GE60 is within the same range with just below 2.7 kg. The lid rocks slightly when opened and closed. The fact that the P35W v2 can be opened with one hand is very pleasing. The stereo speakers and a prominent on/off button in metal-looks are located above the keyboard. The DVD drive is on the device's front. 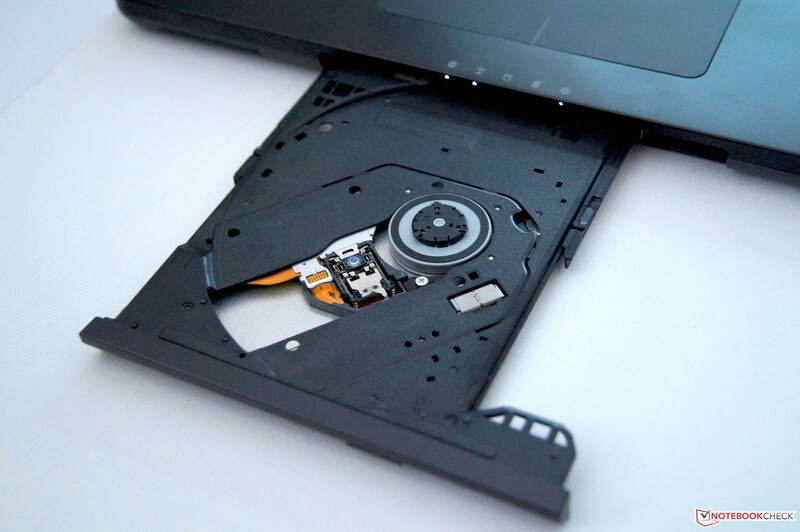 Furthermore, the P35W v2 allows replacing the DVD drive with an SSD, HDD or a Blu-ray drive without a screwdriver on the fly via the hot-swap feature. Gigabyte's P35W v2 also features a slot for the Kensington lock system, which ensures the appropriate security for such a device. The maintenance cover for the working memory is only secured with one screw and is easy to open. There are two memory banks that were filled in our review sample in state of delivery. The laptop's design language can be described as simple yet elegant. Our review sample does not feature a Blu-ray drive - but Gigabyte also has a model of the P35W v2 with that in its line-up. The interfaces prove to be very versatile. 4 USB ports are installed; two support USB 2.0 and two support USB 3.0. Additionally, there is a mini-display port, VGA port, HDMI, memory card reader, LAN, and both a microphone and headphone jack. All interfaces have been installed on the sides and are easy to reach. The large vents reserve the entire rear. The DVD drive on the front was a bit unusual at first but did not impair routine use. 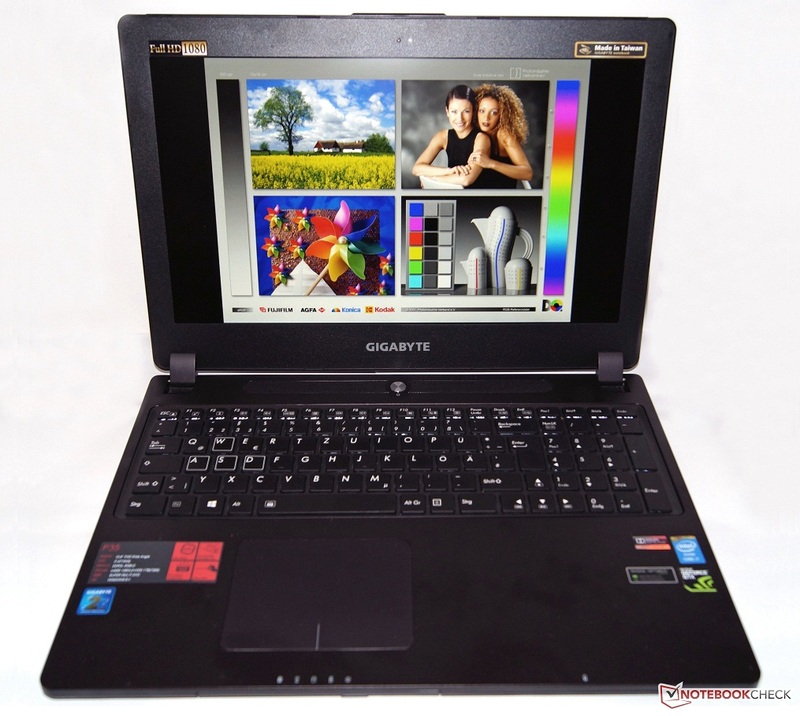 The battery in Gigabyte's P35W v2 has a capacity of 75.81 Wh and is built into the laptop. Except for a Thunderbolt port, for example, like in Asus' G750JS, the review sample supplies the most common interfaces. Besides the option of connecting to a wired network, Gigabyte's P35W v2 naturally also offers Wi-Fi. Intel's Dual Band Wireless-AC 7260 adapter is installed for this purpose, and thus the dual use of two 802.11 ac standards is possible. Asus' G750JS contender provides the Killer Wireless 1202 from Bigfoot Networks, which might be more appealing for gamers. However, Intel's solution should be sufficient for pure Internet usage and casual gamers. A good reception was always possible in the author's personal test environment, even when the distance to the router was increased. In addition to a driver CD and PowerDVD 10 software, Gigabyte's P35W v2 is shipped only with the compulsory manual in printed form, and a warranty card. 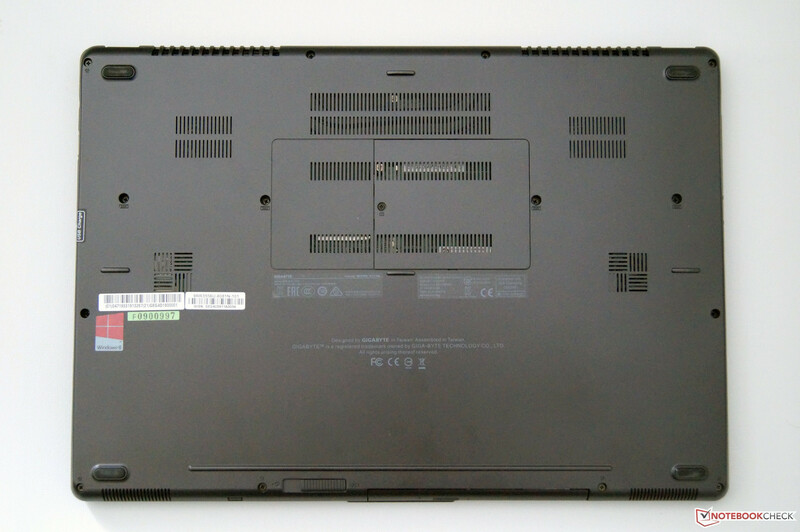 Furthermore, a chassis for the hot-swap slot for quickly inserting a hard drive or SSD into the laptop is included. It is easy to implement additional storage devices when the optical drive is not needed. 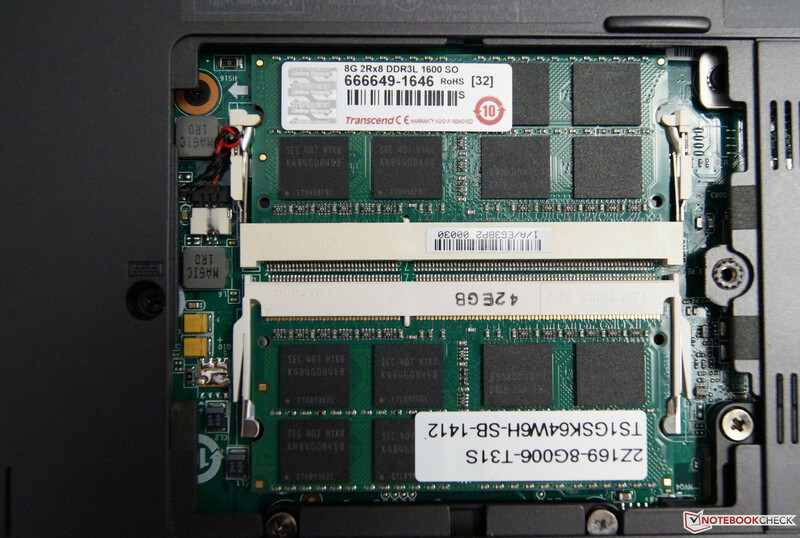 The RAM could also be replaced easily in case of defect. However, more effort is required for all other measures. 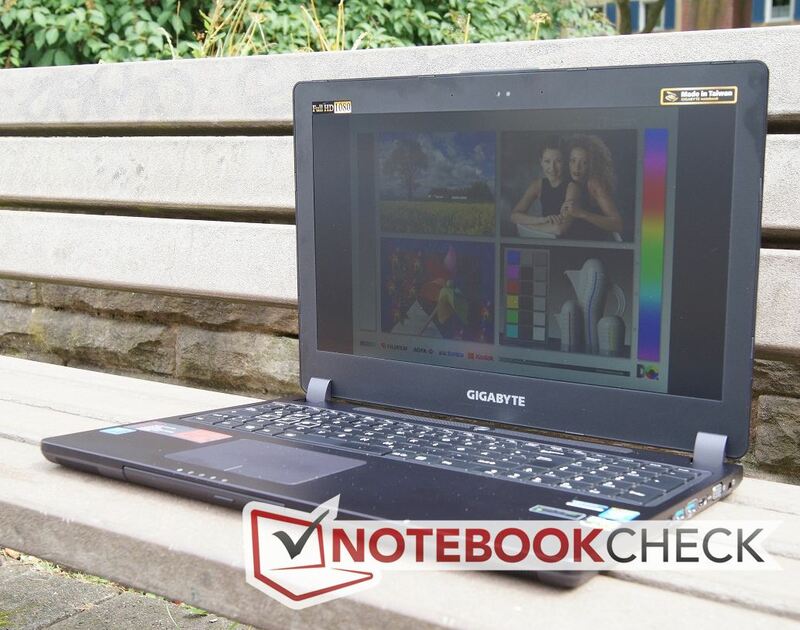 Gigabyte includes a 2-year warranty on the laptop, and one year on battery and power supply. 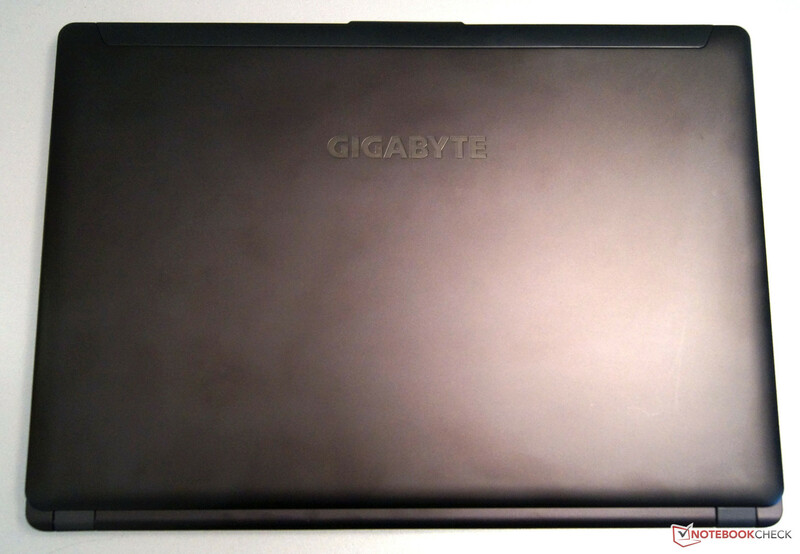 The gaming claim is seen in the exterior appearance of Gigabyte's P35W v2. The W, A, S, and D keys that are essential for gamers have been visibly separated from the other keys with a white rim. The two-level light is also very homogeneous and bright. The manufacturer has done a really good job here. However, that cannot be said about the keyboard's utilization. 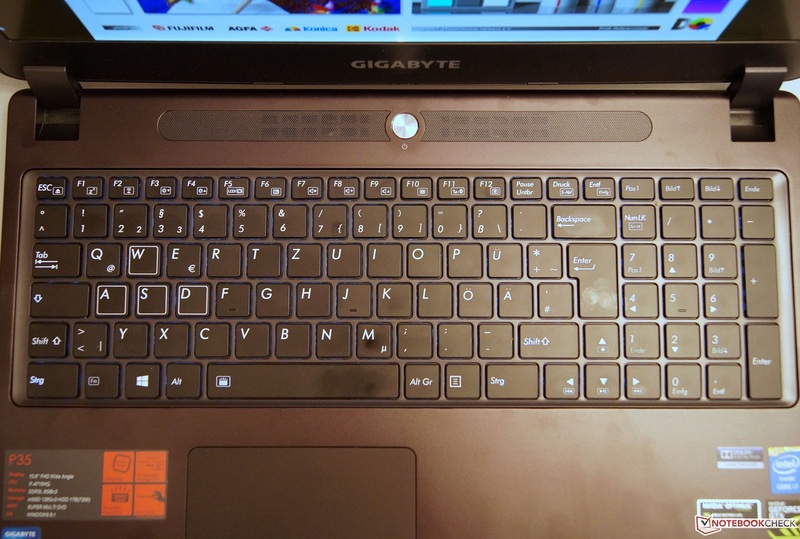 In the tester's opinion, the keys clearly make a lower quality impression than the rest of the laptop. In particular, the stroke of the single keys could be more defined. Furthermore, it was a bit annoying that the surrounding keys on the mat also yielded when typing faster. Gigabyte's P35W v2 does not provide multi-level lighting, like in MSI's GE60, or the typing comfort of, for example, Asus' G750JS. The keyboard features a strong, blue light. The touchpad features a generous size and responds accurately. The generously sized input device is one single surface. The left and right buttons have been made visible by a white line. The input device's responsiveness is quite good and has a high accuracy. The screen's corners are reached quickly without noticeable lags. The material is quite sleek, yet pleasant to the touch. 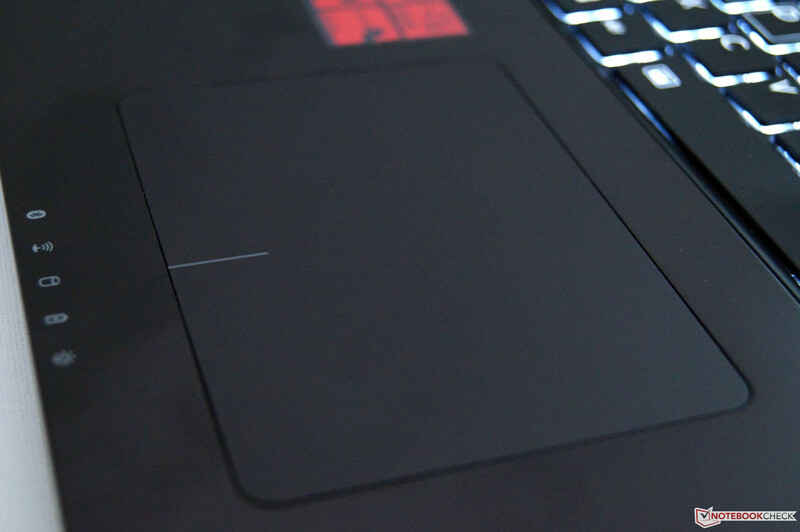 Both the acoustic and palpable feedback of the touchpad buttons is sufficient. It does not produce excessively loud click noises. The screen of a gaming laptop is particularly important. LG Philip's 156WF4 is used. It has a diagonal of 15.6-inches, and its resolution is 1920x1080 pixels. 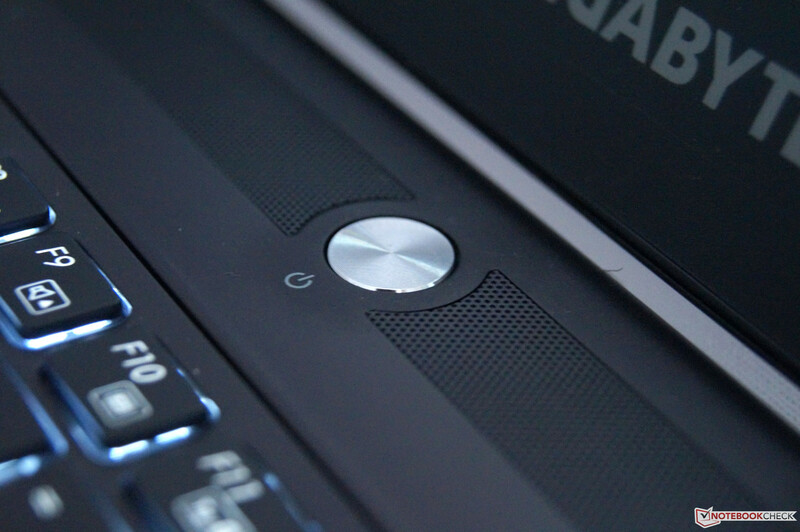 The illumination of Gigabyte's gaming laptop is between both contenders. Asus' G750JS is not quite as bright, and MSI's GE60 offers a marginally higher brightness. The black level of 0.38 cd/m² is slightly below the rivals. MSI's GE60 achieves a rate of 0.43 cd/m², and Asus' G750JS manages 0.48 cd/m². 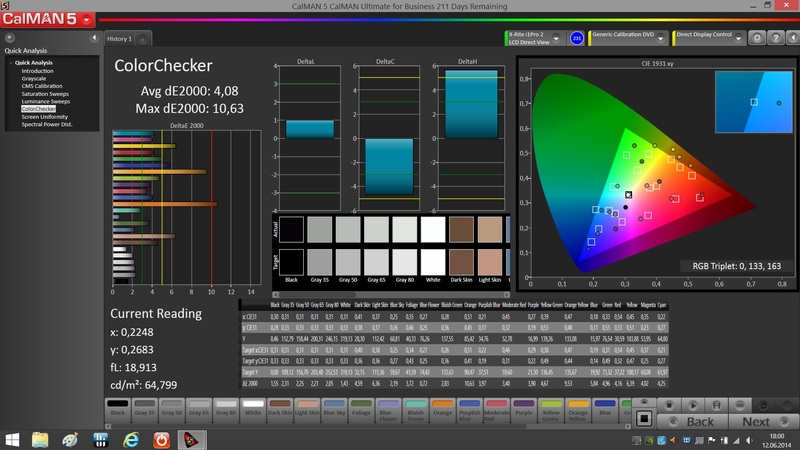 The analysis of the color reproduction is throughout positive. 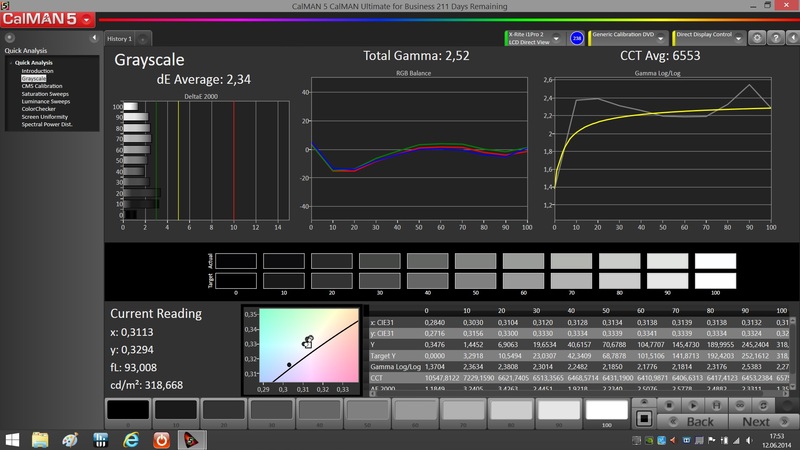 We measured a low DeltaE shift of just 2.34 in Grayscale and an equally good 4.08 in ColorChecker using our spectrophotometer. Gigabyte's P35W v2 can still be used quite well outdoors in moderate sunlight. 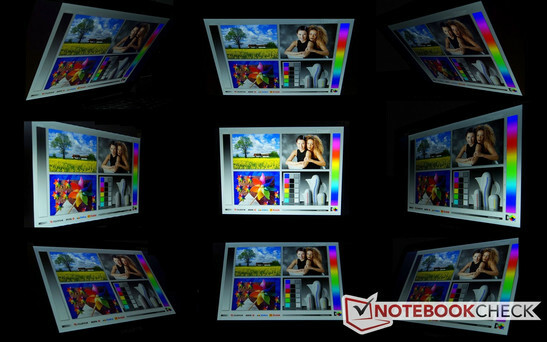 However, it becomes difficult to recognize content when too much light hits the screen. At least a matte display is installed that does not thwart use even more due to reflections. According to the manufacturer, our model should have particularly impressive viewing angles. We can unconditionally confirm that. Content can still be seen well on the 15.6-inch IPS Full HD screen even from somewhat slanted angles. The P35W v2 is comparable with MSI's GE60 and even in front of Asus' G750JS in this exercise. An Intel Core i7-4710HQ processor paired with a swift GeForce GTX 870M with 6 GB of video memory is a promising match. Up to 8 threads can be processed simultaneously via Hyper-Threading technology. Intel's HD 4600 graphics solution is enabled for saving power in normal desktop operation. Nvidia's GPU is activated for more performance devouring graphics applications via Nvidia Optimus. The GTX 870M features the same chipset as the unit in Asus' G750JS, but it has twice the video memory. The advantage over the GTX 860M in MSI's GE60 should therefore be even greater. Beyond that, our model also benefits from two speedy SSDs and the generous 16 GB working memory. 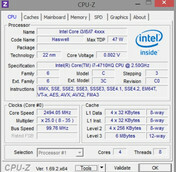 Intel's Core i7-4710HQ is based on the Haswell architecture and clocks with 2.5 GHz (base) and up to 3.5 GHz (Turbo). Apart from the fairly insignificant higher clock rate, the processor in Gigabyte's P35W v2 does not have an advantage over the somewhat lower clocked Core i7-4700HQ with a base clock of 2.4 GHz and Turbo of 3.4 GHz. Surprisingly, our benchmarks show that the P35W v2 is even a bit slower in the processor part of Cinebench R15 and only on par with both the G750JS and GE60 in Cinebench 11.5. We also ran Gigabyte's P35W v2 through PCMark 8 Home v2. However, MSI's GE60 only sports a conventional hard drive while Asus' G750JS has an SSD like our review sample. 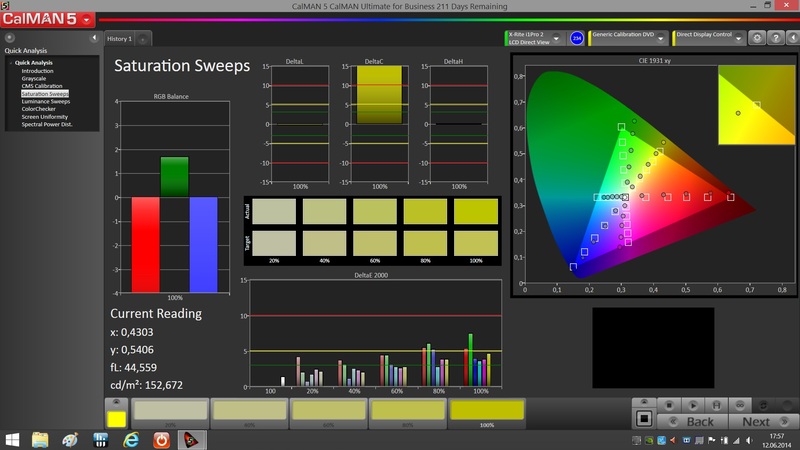 That in conjunction with the swifter graphics solution and lush working memory should result in a corresponding score. In fact, the P35W's score of 3457 points outperforms MSI's GE60 with 3242 points and Asus' G750JS with 3195 points. Nevertheless, an even bigger advantage would certainly have been expected. Two different kinds of storage devices are used in our review sample of Gigabyte's P35W v2 - a conventional hard drive with a capacity of 1 TB (Hitachi HTS721010A9E630) and two SSDs with 128 GB each (Lite-On LMT-128M6M). We ran both devices singly through CrystalDiskMark. The hard drive proved to be considerably faster than Western Digital's Scorpio Blu model in MSI's GE60, and the SSD was also significantly faster than the SanDisk in Asus' G750JS. Particularly the sequential write speed of almost 1 GB/s is impressive in Gigabyte's P35W v2. However, this RAID 0 solution also involves a risk because the data is distributed over two storage places. Intel's HD Graphics 4600 is used for office applications. However, Nvidia's GPU is enabled for games and applications that need a lot of graphics power. Nvidia's GeForce GTX 870M with 6 GB of memory is based on the Kepler architecture. Unlike Asus, Gigabyte does not overclock its laptop. It stays at its base clock of 941 - 967 MHz. We loaded the GTX 870M with 3DMark Fire Strike. Owing to the higher clock rate, Asus' G750JS at least just outperforms Gigabyte's P35W v2 with 4384 to 4206 points here. The GTX 860M in MSI's GE60 clearly lags behind with 3679 points. Gigabyte's P35W v2 should be able to particularly flex its muscles in this part. Being a gaming laptop, we tested it as one. The user should be equipped for almost all games with the swift GTX 870M and its 6 GB of video memory. Again, we compared it with the GTX 870M with 3 GB in Asus' G750JS and the GTX 860M in MSI's GE60. Metro Last Light once again benefits from the higher clock rate of the Asus GPU. The advantage is, however, only marginal. The GTX 860M in MSI's GE60 finds its limits in this game. Just 27 fps is possible using maximum details. However, BioShock Infinite presents a high frame rate of 131 fps in high details, and 51 fps in maximum details. That is a considerably higher rate than from the GeForce GTX 860M in MSI's GE60. The GTX 870M in Gigabyte's P35W v2 also delivers good rates in Battlefield 4. Fairly smooth gameplay is still possible with an average of 36 fps in maximum details. More results can be found in the chart. Here, the laptop can at least convince in relatively undemanding tasks. 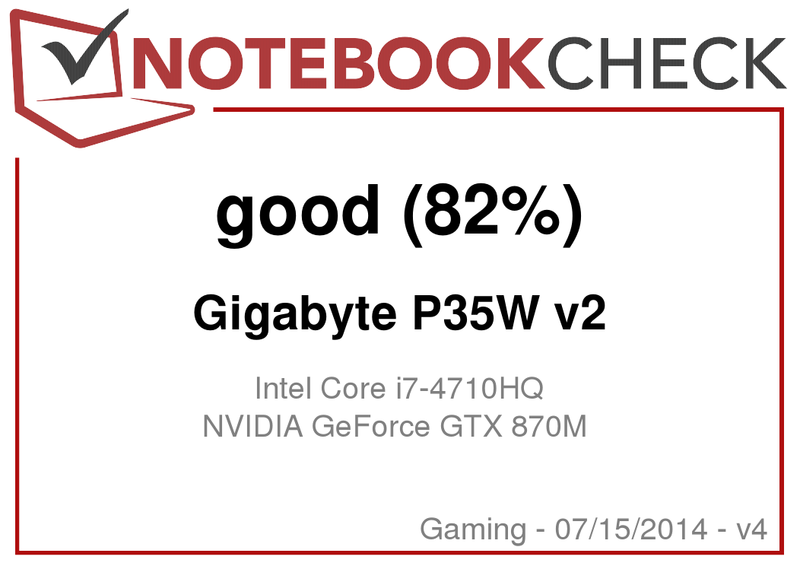 Gigabyte's P35W v2 is still pleasant in idle operation with an average of 32.4 dB(A) and is also still tolerable with 37.8 dB(A) during DVD playback. However, its noise climbs to 53.6 dB(A) during load. That is higher than the average 49 dB(A) of Asus' G750JS and the 50 dB(A) of MSI's GE 60. This noise level is unpleasant subjectively. The slim build of Gigabyte's P35W v2 is noticed in the temperatures. The laptop's rear gets very hot with over 50 °C in some areas. While Asus' G750JS clearly remains below the critical 50 °C and MSI's GE60 is just below that, the P35W v2 surpasses this rate evidently. We recorded temperatures as high as almost 64 °C on the underside and approximately 61 °C on the upper side in the stress test. Although only up to 36 °C was measured in the wrist rest's front area, it will be noticed that the device gets very hot in the keyboard area during practical gaming use. We observed CPU throttling in the stress test. Additionally, this extreme scenario repeatedly caused the test system to crash. The recorded benchmarks in the performed games were all on the expected level though. (-) The average temperature for the upper side under maximal load is 49.4 °C / 121 F, compared to the average of 32.9 °C / 91 F for the devices in the class Gaming. (-) The maximum temperature on the upper side is 61.2 °C / 142 F, compared to the average of 39.3 °C / 103 F, ranging from 21.6 to 68.8 °C for the class Gaming. (-) In idle usage, the average temperature for the upper side is 38.7 °C / 102 F, compared to the device average of 32.9 °C / 91 F.
(-) The average temperature of the palmrest area of similar devices was 28.7 °C / 83.7 F (-7.7 °C / -13.8 F). In addition to the mentioned stereo speakers, there is also a small subwoofer on the laptop's underside. However, it is really only meant for appearance, and a clearly audible bass will not be heard. The sound quality of the P35W v2 is generally acceptable; it does not overdrive or distort even in maximum volume. 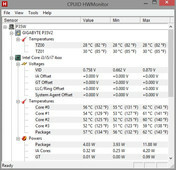 The average idle power consumption is 19 watts, which is just 6 watts more than in MSI's GE60. Asus' G750JS ranges in the midfield with an average of 16.4 watts. The P35W v2 draws decently from the outlet with as much as a whole 176 watts during load. The maximum rate of MSI's GE60 is 126 watts, and Asus' G750JS consumes 181 watts. The GTX 870M apparently contributes massively to that. Gigabyte's P35W v2 has a non-removable battery with a capacity of 75.81 Wh. That is considerably more than the 49 Wh of MSI's GE60, but also less than the 89 Wh in Asus' G750JS. Our idle mode assessment resulted in a runtime of up to 6 hours and 25 minutes. That is one hour longer than MSI's GE60 has to offer and almost 4 hours less than the enduring Asus G750JS. The P35W v2 shut down after only 1 hour and 58 minutes in load (Battery Eater Classic test) using maximum brightness. That is still almost twice as much as what MSI's GE60 has to offer and even surpasses the rate of Asus' G750JS. A very satisfactory runtime was also achieved in the practical Wi-Fi test. 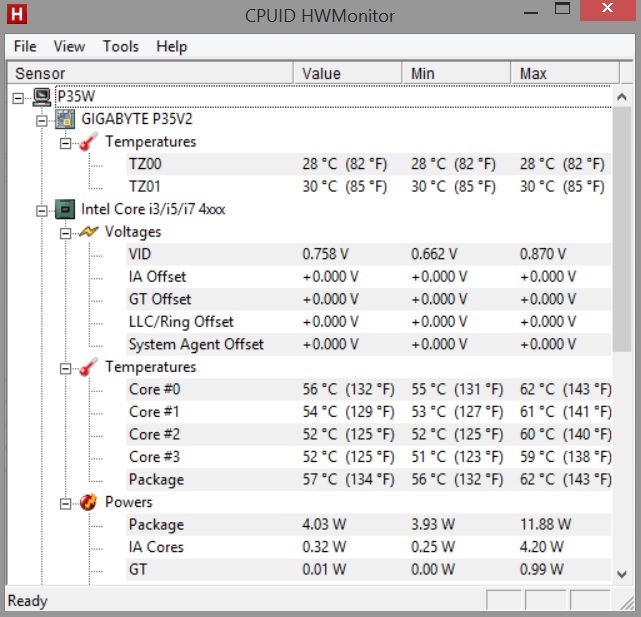 Gigabyte's P35W v2 lasted for long 6 hours and 47 minutes. MSI's GE60 cannot compete with that, and Asus' G750JS is also clearly defeated. The simple, yet elegant design and the good build are the first things noticed about Gigabyte's P35W v2. That conceals its brute power which is still enough for even the most demanding games. The long battery runtime is also pleasing. Basically, it is the rather mediocre keyboard and primarily the high load emissions (noise, surface temperatures) that prevent a better rating. Surface temperatures of beyond 60 °C and problems in the stress test prove that the slim P35W performs a balancing act on the limits of what is physically possible. 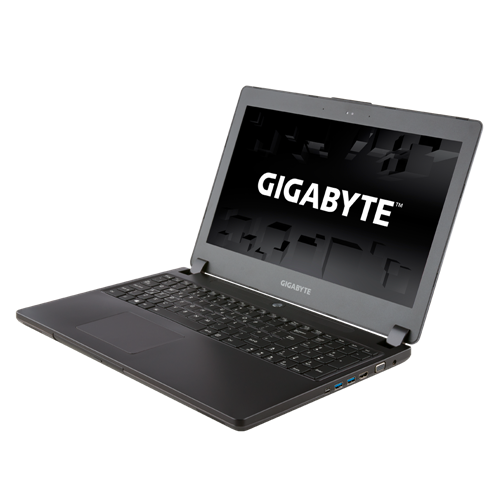 When these shortcomings of Gigabyte's P35W v2 can be accepted, the buyer will get a high-performance and, above all, a portable gaming laptop that is the perfect companion on the go owing to its low weight and slim build. Furthermore, the device is available in various configurations, which is a major plus point. Sensitive ears should avoid the ultra-slim gaming category. Devices with a larger casing volume, for example, Asus' G750, remain quieter and cooler even during load and, in our opinion, they are also more suitable for extensive gaming sessions. The prominent on/off button is above the keyboard. The underside has a small maintenance cover for the working memory. The optical drive is easy to take out via hot-swap. Gigabyte's P35W v2 in an opened state. Both installed working memory bars. The keyboard with disabled backlight. The good build and swift performance. The screen is high quality and is well suitable for gaming. The issues with temperature development and the high noise lessen the attractiveness. The clever hot-swap mechanism is even easy to use for less computer-savvy people.